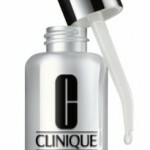 Clinique introduces Even Better Clinical Dark Spot Corrector…the Damage Eraser. This breakthrough skincare product challenges the idea that a prescription treatment for hyperpigmentation (uneven skin tone) is the only way to effectively treat this frustrating condition. Hyperpigmentation and "age spots" are considered the new signs of premature aging, affecting all age groups and ethnicities. So what exactly is hyperpigmentation? It's uneven skin tone that is a result of excess melanin production. It can be triggered by excessive UV exposure/sun damage, stress, acne and/or environmental factors like pollution. Clinique has researched this condition extensively and has developed Even Better Clinical Dark Spot Corrector to work as effectively as the prescription "gold standard", Hydroquinone 4%, but without the redness, irritation or the 12 week usage committment. Dianella Ensifolia, a potent antioxidant found to be 22% stronger than Kojic Acid. Ascorbyl Glucoside, a potent Vitamin C derivative, that helps to fade dark spots. Glucosamine and Salicylic Acid provide exfoliation benefits to help cell turnover and brighten. 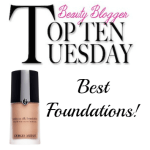 Blackout Yeast Extract helps to visibly break up pigment and improve appearance of uneven skin tone. 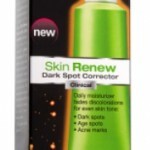 I'm really excited to be using Even Better Clinical Dark Spot Corrector, especially after reviewing the clinical trial data. Because of all the product testing that I do, I am continuously introducing irritants to my skin. Thus, treating the hyperpigmentation I have is a constant battle. am convinced that it is going to help my skin improve. In terms of where to incorporate it into your skin routine, I'm using it right after cleansing in the AM and PM; then I apply a moisturizer (with sunscreen in the morning). Clinique Even Better Clinical Dark Spot Corrector retails at $49.50 and is available now at Clinique counters nationwide and at www.clinique.com. 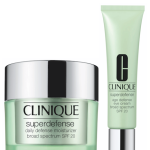 Clinique to the rescue with Superdefense! 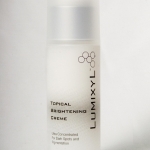 Lumixyl: New Help for Hyperpigmentation!